Liverpool is increasingly becoming a trendsetter on the Footgolf scene. 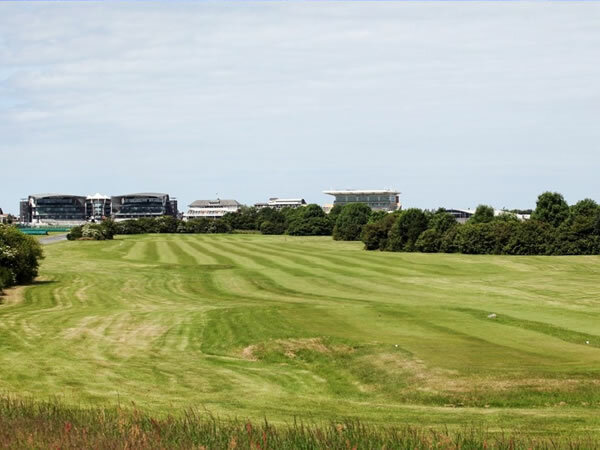 This Footgolf Course located at the well-known Aintree Golf Centre is a welcome addition and provides another venue of choice for Footgolfers new and old. This is a vibrant and welcoming club that is positioned right next to Aintree Rail Station, making it easily accessible to both locals and visitors to the area. The wide open fairways make for a fair yet challenging game, and experts will find just as many challenges as newcomers, perhaps giving the sport a try on a stag weekend. Facilities on site are very comprehensive with both food and drink options, Sports TV, Wi-Fi and changing facilities. Footballs are provided.